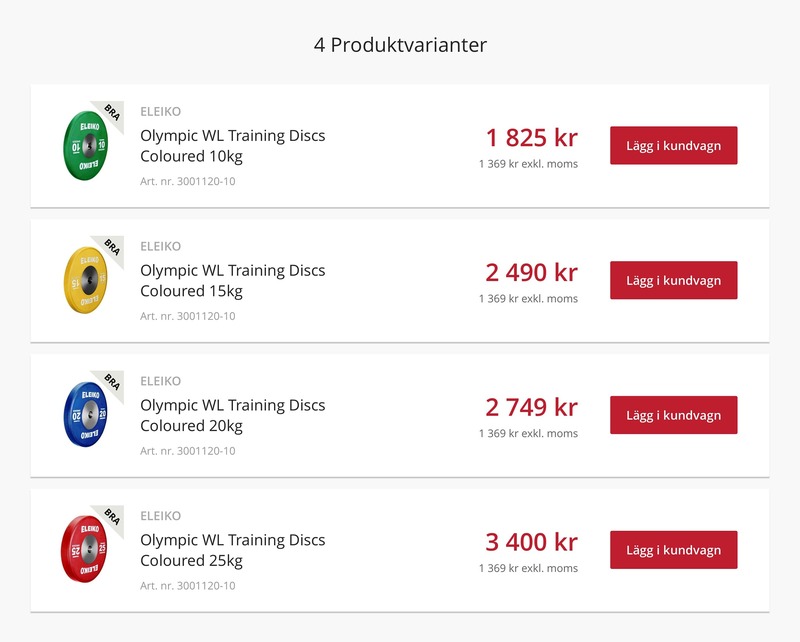 Träningspartner is an online provider of gym equipment and food supplements for a wide range of sports and activities. They focus on both professional, commercial and home gyms. 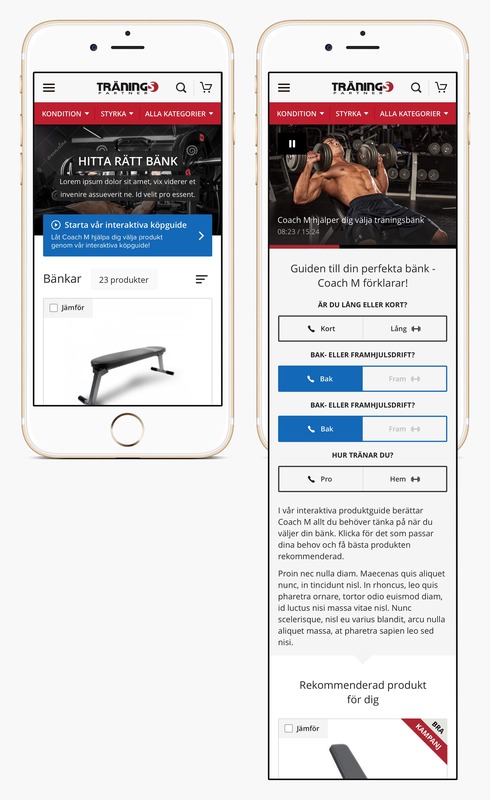 By helping customers plan and set up custom gyms to suit their specific needs, providing information on how to exercise and how to best use their equipment, Träningspartner assists the customer every step of the way. The client also runs individual shops in three different countries, and our task was to unite them under one unified branding profile. 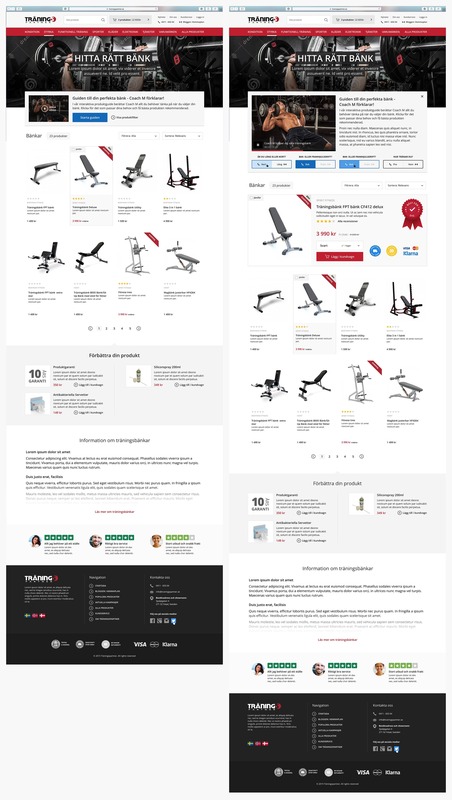 Träningspartner helps companies who want to set up a gym for their employees or customers, as well as individuals who want to set up a gym at home. 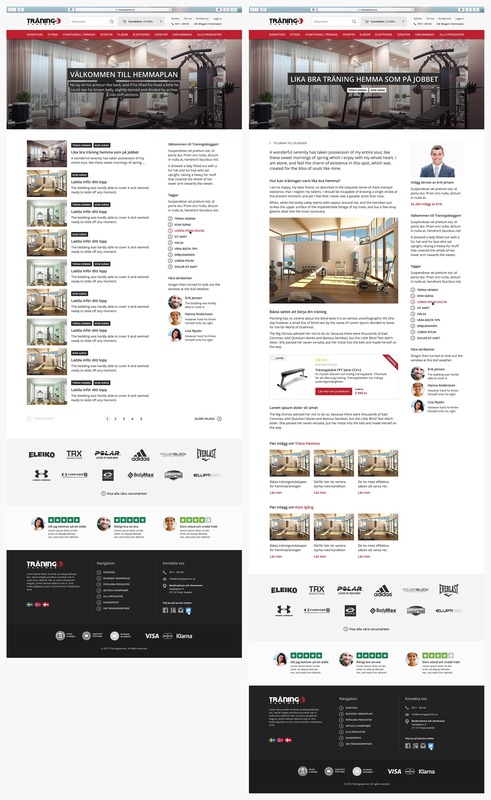 With that in mind, we had to make sure to be available for all types of customers by creating intuitive user experiences that fit all scenarios. We wanted to provide more than general sale of products and to generate returning customers and aftermarket sales, whether for advice or new equipment. The idea was to create a long-lasting relationship with the customers. In the world of gym equipment there are a lot of different machines doing the same thing, or a lot of variants of a single product (e.g. free weights). We created an intuitive way of listing products that had variants and cleaned up the product page. We also introduced a new concept of improving a product. The idea is that when a customer buys an expensive machine there are other things that might come in handy - such as related products, but more importantly products to maintain the machine. By doing this we can provide "improvements" to each product or category. This area can also be used to up-sell other items as a fallback should a relation to the main product not be available. An interesting idea that arose throughout the process was the thought of maintaining the interaction with the customer even after the purchase has been finalised and they have received the product. A good way to do this was to introduce a blog where authors published a steady stream of content about how to exercise, what to eat and product reviews. We were later able to connect this to newsletters and other social media channels. Interacting with the customer on a more committed level will help build loyalty and returning customers. Since the end goal is to create a great experience for all visitors, we need to adapt to what they're looking for. We need to be able to assist the user every step of the way and another way to do this was to introduce a purchase guide for every product. Imagine when you are buying a bicycle and the first thing you see is a video consisting of a guy that is on your side explaining what the important aspects of your purchase is. 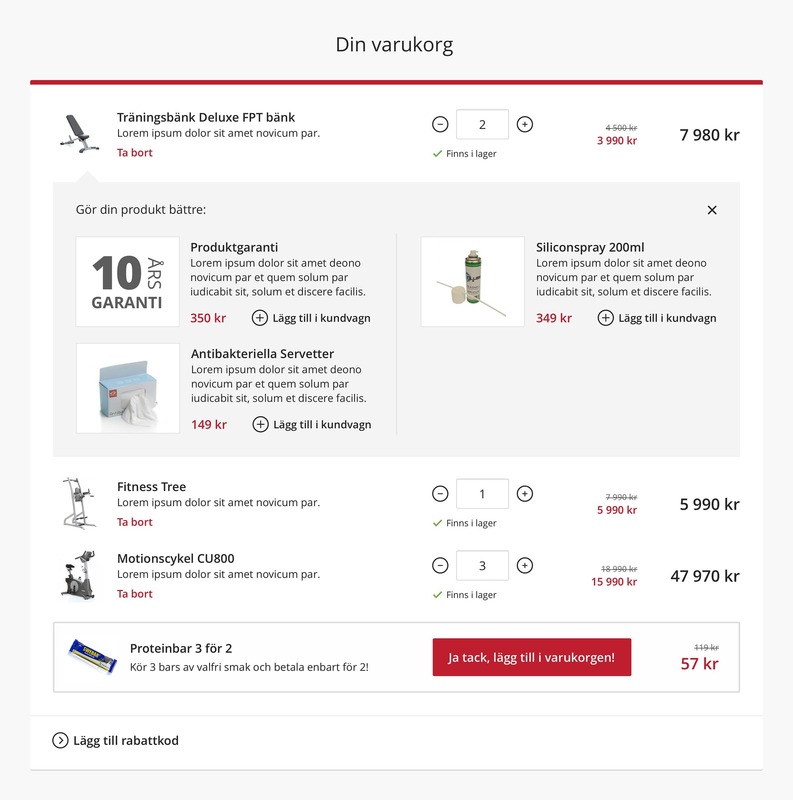 Add a function where you can point and click on what you feel is important for you, with guidance from Träningspartner, and have the best product filtered out for you.